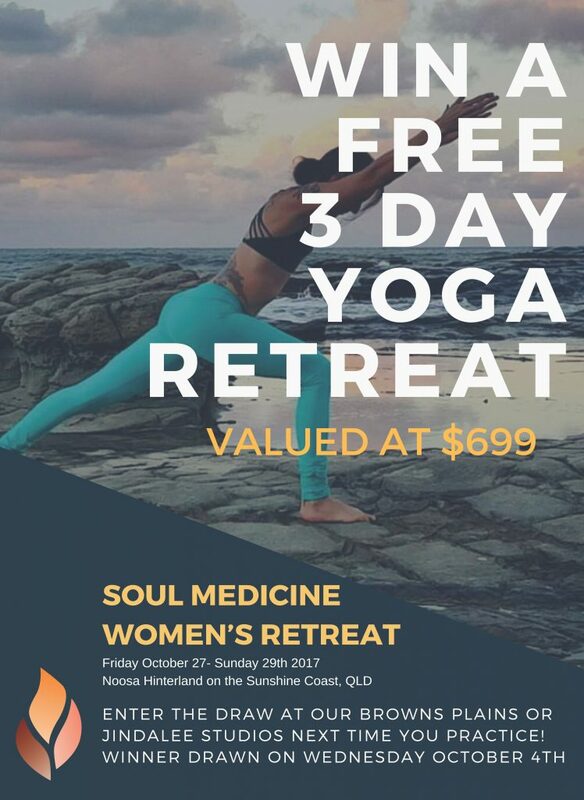 A 3 day retreat held by our wonderful Michelle Freeman in the beautiful Hinterland of the Sunshine Coast. ~ 2 Nights, 3 Days stay in Boutique Accommodation at Amara Retreat on 45 Acres of gorgeous Sunshine Coast Hinterland. Twin Share Cabins and Comfortable Main Retreat House Options Available. ~ 6 Mostly Organic, Vegan (some dairy options), Delicious Meals with Afternoon Tea options. Just drop in and take a class at either our Browns Plain or our Jindalee studio and enter your name in the draw. Every time you practice, you can enter again!! If you are not a current member at Bonfire, you can buy a casual class pass and enter on the day! We will drawing a name at random on the 4th of October. Make sure your details are correctly updated so we can contact you to let you know if you’ve won!